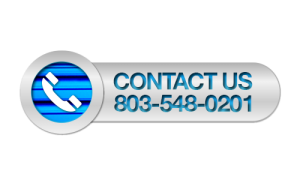 LLC lies just behind the business center with 5 different sizes to choose from and parking pads for your boat or camper needs. The self storage was built in 1995 with a fence and lights all around it. We also have lights in every unit and cameras monitoring the project. All of our units are lit and have 8 foot ceilings. 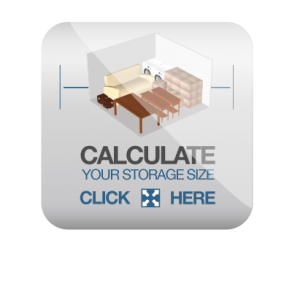 This is a great sized unit for storing the contents of one, possibly two bedrooms or office spaces with small pieces of furniture. 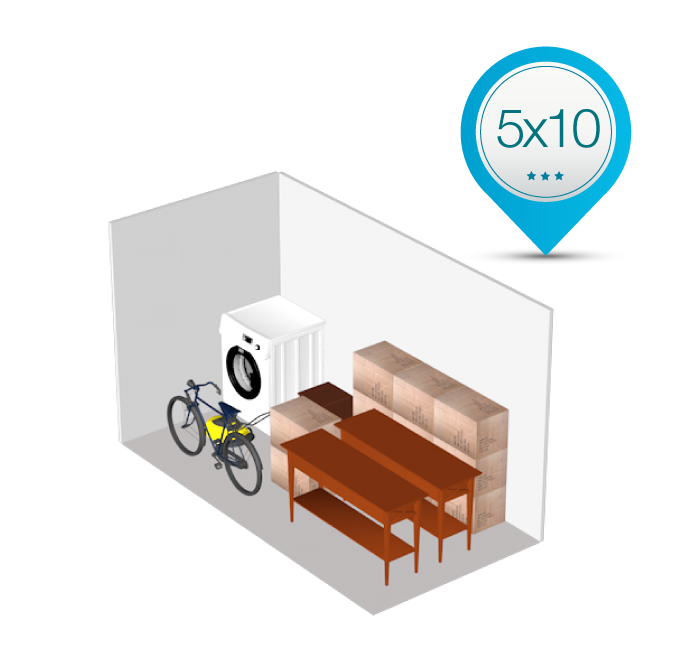 With 400 cubic feet of space these units easily store small bedroom, living room, or office furniture, and outdoor items such as bicycles, patio furniture, and lawnmowers. This unit contains plenty of space to hold the contents of a typical one bedroom apartment. One 800 cubic feet allows for plenty of space for two full rooms of furniture including sofas, bedroom furniture, kitchen appliances, and much more. 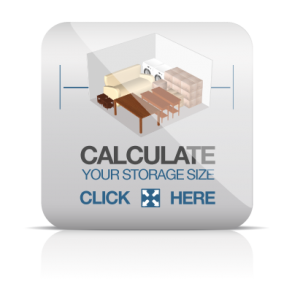 You will probably even have room for extra boxes of clothing, kitchen items, seasonal items, or office records. This unit holds the contents of three full rooms of furniture, a large office space, or a small house. 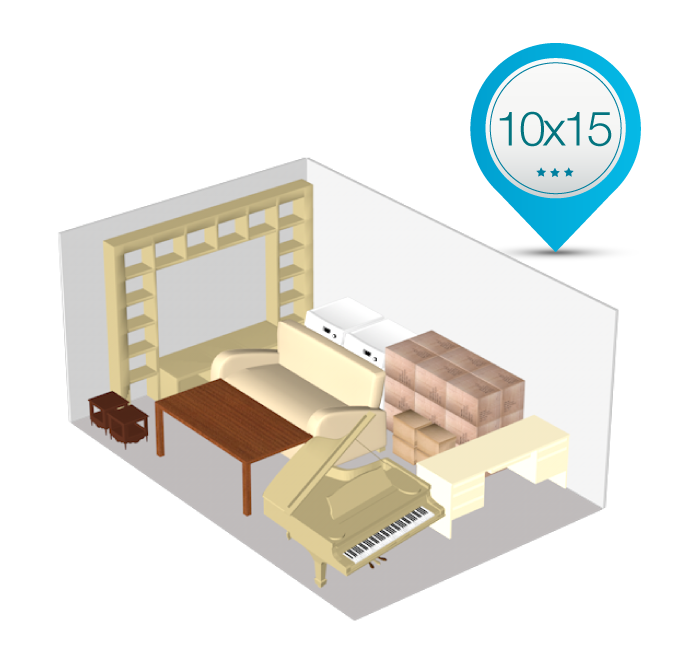 You’ll have plenty of room for multiple pieces of large furniture such as sofas, beds, a piano or office desks. You’ll also have room left over for all of those smaller items. This unit provides room enough for a moderate sized house with typical furniture. 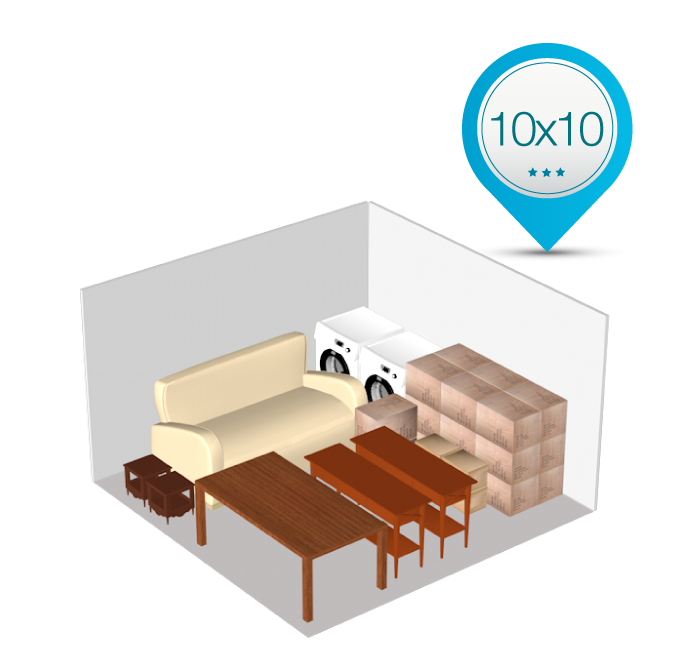 This large unit can store multiple large furniture items like refrigerators, living room furniture, a washer and dryer, and still leave room for smaller items and many large boxes. 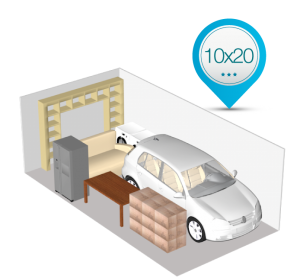 It is also large enough to store most vehicles. This unit provides plenty of space for 5-7 rooms of furniture or office equipment. 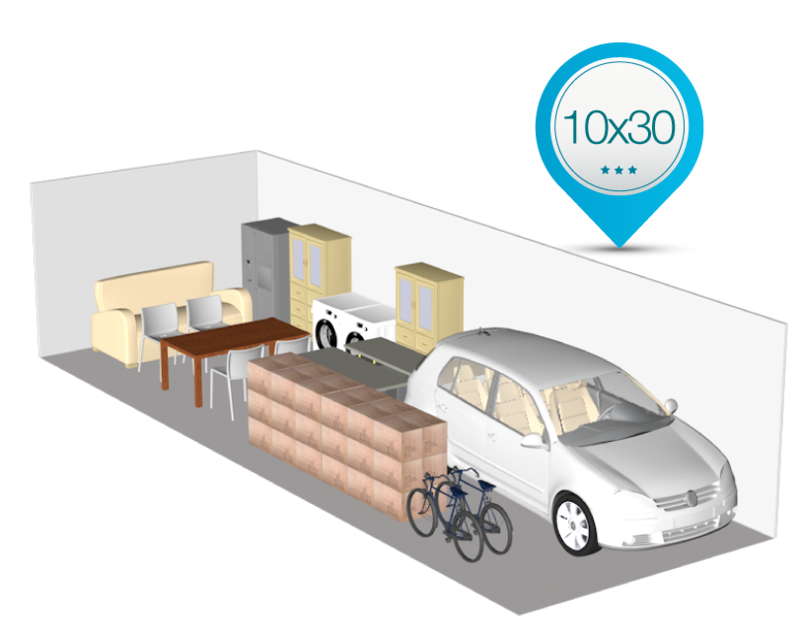 It is also a great sized unit to store a vehicle while leaving plenty of space around the vehicle to store additional items such as boxes, bicycles, or smaller furniture items. Calculate the size you need.